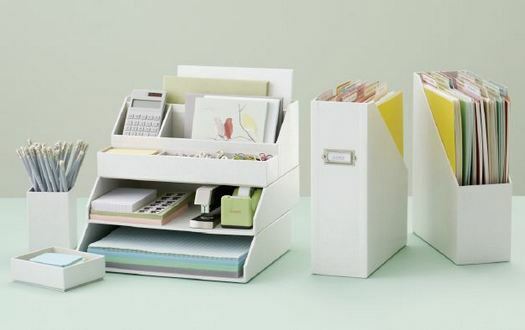 Mix and match items from the Martha Stewart Home Office™ with Avery™ product line to create a custom desk organization system. Replace the chaotic junk drawer with a modular Stack+Fit™ system in exactly the size and functionality that is needed. Each piece is designed to fit perfectly atop or alongside (sometimes inside!) the rest, and the shagreen finish is pretty enough to display anywhere. Customize a small set of boxes for jewelry and notions, add drawers for craft or art supplies, or expand to a full system for the home office. Fan Staples on Facebook and leave this link on their wall saying you are entering the Martha Stewart Home Office Desk Organization giveaway on ladyandtheblog.com. Fan Martha Stewart Living on Facebook and leave this link on their wall saying you are entering the Martha Stewart Home Office Desk Organization giveaway on ladyandtheblog.com. Just joined Martha Stewart Living on FB. Yes! Finally something about linktausch.